WATERTOWN, WIS. – Concerns about the safety of crude oil trains loom over a proposed rail takeover that would create the largest rail system in North America. Last week, Alberta-based Canadian Pacific made public its plan to acquire Virginia-based Norfolk Southern. The $28.4 billion deal would need to be approved by company shareholders and federal regulators, a process that could take at least 18 months. The railroads are key players in the transportation of crude oil from North Dakota’s Bakken shale region to East Coast refineries. Currently, Canadian Pacific transfers the shipments to Norfolk Southern at Chicago. The combined company could offer a seamless path the entire distance to the East Coast. 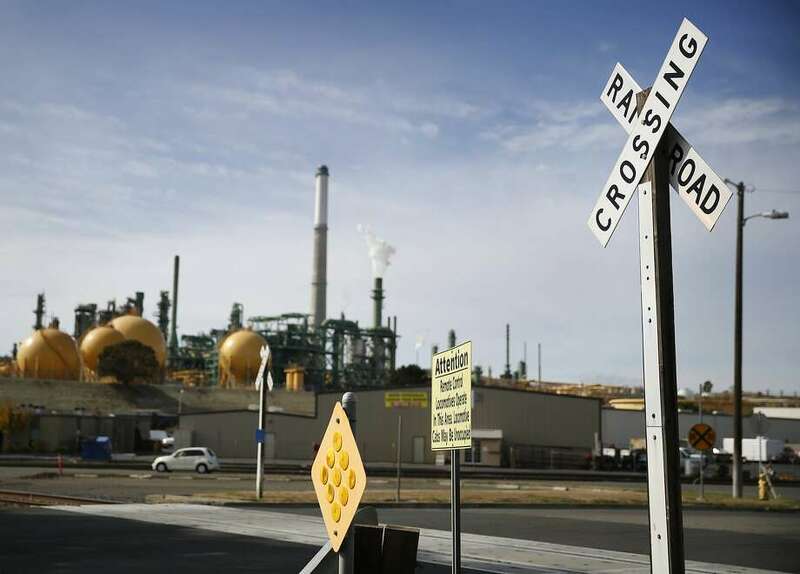 Though both companies have so far escaped the most serious crude by rail incidents involving spills, fires and mass evacuations, they are likely to face fresh scrutiny of their safety practices and relationships with communities if they agree to a deal. Two Canadian Pacific trains derailed earlier this month in Watertown, a city of 24,000 about an hour west of Milwaukee. The first occurred on Nov. 8 when 13 cars of an eastbound oil train bound from North Dakota to Philadelphia derailed and spilled about 500 gallons. About 35 homes were evacuated for more than a day. Then on Nov. 11, a second train derailed at the same spot as the first. Though no one was injured, the back-to-back incidents shook residents. “If safety was really important, you wouldn’t have two trains derail in one town in one week,” said Sarah Zarling, a mother of five who lives a few blocks from the track and has become an activist on the issue. THE FEDERAL SURFACE TRANSPORTATION BOARD, WHICH REVIEWS RAILROAD MERGERS, HAS BEEN SYMPATHETIC TO CONCERNS FROM THE PUBLIC ABOUT THE IMPACTS OF INDUSTRY CONSOLIDATION. In a statement, Canadian Pacific spokesman Andy Cummings said the railroad was the safest in North America for 12 of the past 14 years. In downtown Milwaukee, Canadian Pacific’s oil trains cross a 99-year-old steel bridge over South 1st Street that shows visible signs of deterioration. Some of beams supporting the structure are so badly corroded at the base that you can see right through them. In Watertown, just west of the derailment site, the railroad crosses Main Street on a bridge with crumbling concrete supports embedded with its date of construction: 1906. Cummings said both bridges are safe and that their appearance doesn’t indicate their ability to safely carry rail traffic. Still, he said the company is working on a website that would explain its bridge management plan and offer a way for the public to raise concerns. “We do understand that we have an obligation to reassure the public when questions arise about our bridges,” he said. Railroads carry out their own bridge inspections under the supervision of the Federal Railroad Administration. In September, Administrator Sarah Feinberg sent a letter to railroads urging them to be more open about their bridge inspections and conditions. Addressing a rail safety advisory panel in early November, Feinberg said her phone was “ringing off the hook” with concerned calls from the public and lawmakers. $340 Million – Amount of settlement for survivors of 2013 Quebec oil train disaster. Canadian Pacific was the only company that declined to contribute. Much of the concern about the condition of rail infrastructure stems from series of derailments involving crude oil and ethanol. Including the Watertown derailment this month, there have been 10 derailments with spills or fires this year in North America. In the worst example, an unattended train carrying Bakken crude oil rolled away and derailed in the center of Lac-Megantic, Quebec, in July 2013. The subsequent fires and explosions leveled dozens of buildings and killed 47 people. Canadian Pacific was the only company among roughly two dozen that declined to contribute to a $340 million settlement fund for the survivors. The railroad denies any responsibility in the disaster, though it transported the derailed train from North Dakota to Montreal, where a smaller carrier took control. While the railroad last month dropped its opposition to the settlement, it could still be in court. A Chicago law firm has threatened to bring wrongful death lawsuits against the railroad in the next 18 months. While it’s not clear what issues will ultimately decide the fate of proposed merger, the federal Surface Transportation Board, which reviews such transactions, has been sympathetic to concerns from the public about the impacts of industry consolidation. In 2000, the three-member panel rejected a similar cross-border bid by Canadian National and BNSF Railway to create what would have been the largest North American railroad at the time. The deal failed partly because a series of mergers in the 1990s had created a colossal rail service meltdown. Because of those problems, and complaints from shippers and members of Congress, the Surface Transportation Board imposed a moratorium on new railroad mergers. There hasn’t been a major rail deal since. But speaking to a conference of transportation companies in Florida this month, Canadian Pacific CEO Hunter Harrison sounded confident that shippers would not oppose the deal and that the decision to press forward was largely in the hands of shareholders.